The same atomizer from eGo Twist+ kit, Cubis D19 atomizer comes with 2ml tank capacity on diameter of 19mm, featuring detachable structure for easy maintenance and cleaning. The same atomizer from eGo Twist+ kit, Cubis D19 atomizer comes with 2ml tank capacity on diameter of 19mm. It adopts detachable structure for easy maintenance and cleaning. You can change coil and refill e-juice simply by removing its top cap. 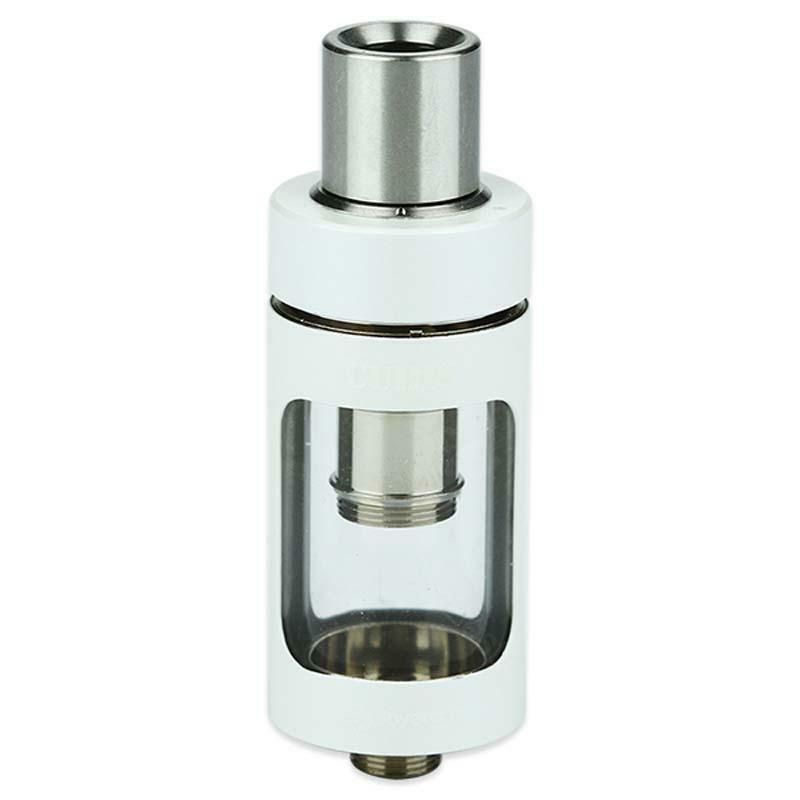 Though simple, CUBIS D19 tank supports MTL and DL vaping. This atomizer doesn’t come with coil, so you need to buy EC coil for it separately. • It doesn't include atomizer head. You can buy it at BF Replacement Coil, BF RBA Head, NotchCoil DL Head, and LVC Clapton MTL Head. Joyetech CUBIS D19 Tank Atomizer is a very cheap and simple tank. It's compatible with Cubis series coils for good flavor. Wer das Dampfen beginnen möchte, ist mit diesem Qualitätiv guten Starterset prima aufgehoben. Preis-Leistung steht in einem guten Verhältnis. Kann Joyetech ohne Einschränkung empfehlen.